For years, William Somers, CPA, LLC has been providing quality, personalized financial guidance to local individuals and businesses. Our expertise ranges from basic tax management and accounting services to more in-depth services such as audits, financial statements, and financial planning. 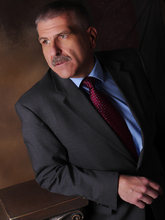 William Somers, CPA, LLC is one of the leading firms in and throughout the Northwest and Central New Jersey area. By combining our expertise, experience and the team mentality of our staff, we assure that every client receives the close analysis and attention they deserve. Our dedication to high standards, hiring of seasoned tax professionals, and work ethic is the reason our client base returns year after year. Our mission is to help clients maintain financial viability in the present, while taking a proactive approach to achieve future goals. This requires open communication to reach an understanding of our clients' needs through research and sound analysis. William Somers, CPA, LLC is dedicated to meeting these goals with high standards of excellence and professionalism. We have been a staple of the area's business community for years, and pride ourselves on the level of esteem we have earned. Our dedication to hard work has earned the respect of the business and financial community in and around the area. We believe this to be a direct derivative of our talent and responsiveness to our client base. Whether you are a current or prospective client, rest assured that individuals and businesses who choose William Somers, CPA, LLC receive competent and timely advice. Bill is the founding member of the firm. He is a New Jersey Licensed Certified Public Accountant. He has a bachelor’s degree in accounting from St. Peter’s University and a master degree in taxation from Seton Hall University. Bill has over thirty years of experience in public accounting, servicing individuals and businesses alike. During his many years of experience with small to medium size businesses he has developed a unique perspective to resolve the many issues facing today’s entrepreneurs. He provides a personal, practical, and cost effective approach to serving his client’s individual financial and tax needs. He assists clients navigating through the inordinate technical compliance regulations facing today’s business owners while never losing sight of their short-term or long-term personal and professional goals. When not working, Bill spends time with his family and enjoys many outdoor activities including; motorcycling, hiking, biking, running, skiing, hunting, fishing, and camping, to name a few. He also enjoys learning to play both the guitar and the banjo during his free time. 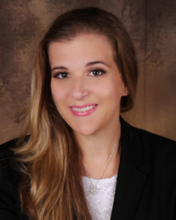 Pamela Jacobson is an innovative and driven accounting professional with over six years of experience at William Somers CPA LLC. Pamela’s specific areas of expertise include preparation of individual and business tax returns, payroll, sales tax, bookkeeping and accounting services. She is a graduate of Seton Hall University, where she received a Bachelor of Science Degree in finance with a minor in legal studies. She is an alumni of Alpha Kappa Psi, a business fraternity. In her spare time she enjoys crafting and catching up with family and friends. 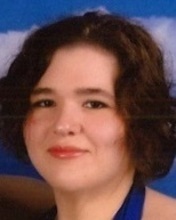 Stephanie is responsible for many firm administration and internal IT functions. She performs client bookkeeping data entry, payroll entry and account reconciliation procedures. She manages workflow throughout the office, various software functions, and project due dates. Stephanie is a team player handling many functions for other staff members and clients, assuring a high quality service focused around our client's needs. Eileen is the firm's receptionist/secretary. Her responsibilities include greeting clients, answering phone calls and resolving client questions and issues. She collates returns for delivery and mailing; scans and files documents for the firm's paperless filing system. She also electronically submits tax returns and tracks their filing status. Her responsibilities also include retrieval of client documents and correspondence from the firm's electronic client portal system.